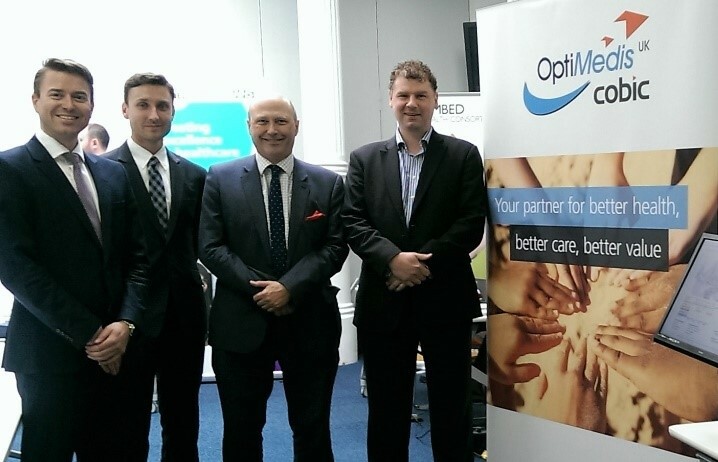 OptiMedis-COBIC UK ltd (OM-C) was set up exactly a year ago, reason enough to reflect on progress to date! f.l.t.r. : Dr Oliver Gröne, Timo Schulte (OptiMedis AG), Dr Nicholas Hicks und Andrew P. Smith What is OM-C? OM-C brings together the expertise and experience of two well established and pioneering companies, OptiMedis AG from Germany and COBIC Ltd from the UK, working in close association with Imperial College Health Partners (ICHP), the Academic Health Science Network. OM-C and its parent organisations are value-driven as are its partners pursuing the sole mission is to get better outcomes for citizens, their families and their communities and better value for those that pay for care. OM-C works with local health and care economies in the National Health Service to develop, design and implement Accountable Care Systems that focus on the outcomes that matter most to local people.